• 30 Jun 2006 - During the period 27 Mar - 12 Jun, TOAST communicated with SNTC on topics such as better scheme for horse owners and follow up actions required from SNTC arising from TOAST committee meetings. TOAST also wrote to ARTS on 30 Jun regarding the feedback on horses' status by trainers to horse owners. The dialogues (available to TOAST members only) have been posted on the TOAST website. 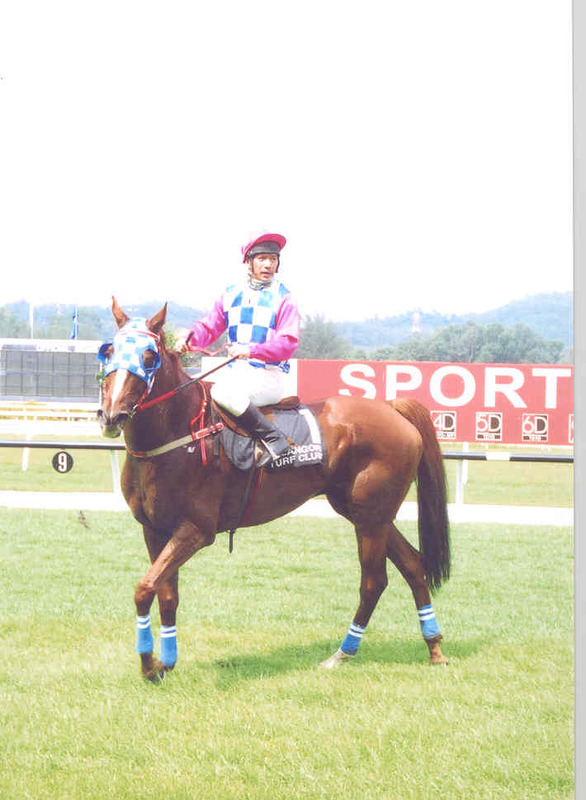 • 21 Jun 2006 - Three "deleted" race horses, "Sun Marina", "Pacific Star" and "Le Win", were given a new lease of life after being arranged by TOAST to be transferred from the Singapore Turf Club's Trainer - Mr Takaoka's stables - to Ipoh in Malaysia for amateur racing. For owners and trainers with horses to be retired from professional racing, please feel free to contact Ms Constance Cheng from TOAST @ Hp: +65 9679 2684 to make the necessary arrangements for a new lease of life, i.e. breeding, riding or amateur racing. • 23 May 2006 - The New Paper on 17 May 2006 reported that a change in the Betting Rules. TOAST wrote to SNTC to ask if it affects the Racing Rules in Singapore (e.g. in terms of the minimum field size in a race). SNTC's reply is as follows: "There is no change to the Club's policy of requiring at least 6 horses in a race at Acceptance time. However, even if the number of horses drop to less than 6 after Acceptance time, the race will still be held as is the present practice." 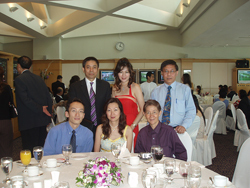 • 13 May 2006 - A number of TOAST members attended the Singapore Airlines International Cup Gala Dinner on 12 May 2006. Ms Julia Ho (right on picture in the story in The New Paper), our newly elected TOAST Treasurer and her friend Ms Sharrel Ho (left on picture in the story in The New Paper) were there and they were featured in a story entitled "Of bets and beauties" in The New Paper on 13 May 2006. Click this for the story in The New Paper. • 1 May 2006 - Formation of TOAST Trust No. 7 with the leasing of "Bolnisi Gold". More information can be found on the "TOAST Racing Trust" section of this website. • 30 Apr 2006 - TOAST Trust No. 4 and 5 have been terminated in accordance with the terms and conditions stipulated in the formation and structure under the section on "Leasing Period". The 2 horses "Toast Express" and "Senor Steve" will no longer race under the ownership of TOAST Trusts with effect from 1 May 2006. • 26 Apr 2006 - One of TOAST's objectives is to give deleted racehorses a new lease of life by engaging them in amateur racing, dressage, show-jumping and eventing. 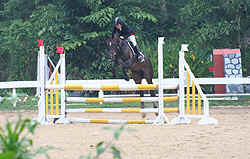 A deleted racehorse named "Kampar" took part in the 2006 FEI (Federation Equestre Internationale) World Showjumping Challenge on 7-9 Apr 2006 in Bukit Timah Saddle Club (BTSC). Read the full touching story of "Kampar" written by the owner and BTSC member Ms Monique Heah by clicking this. 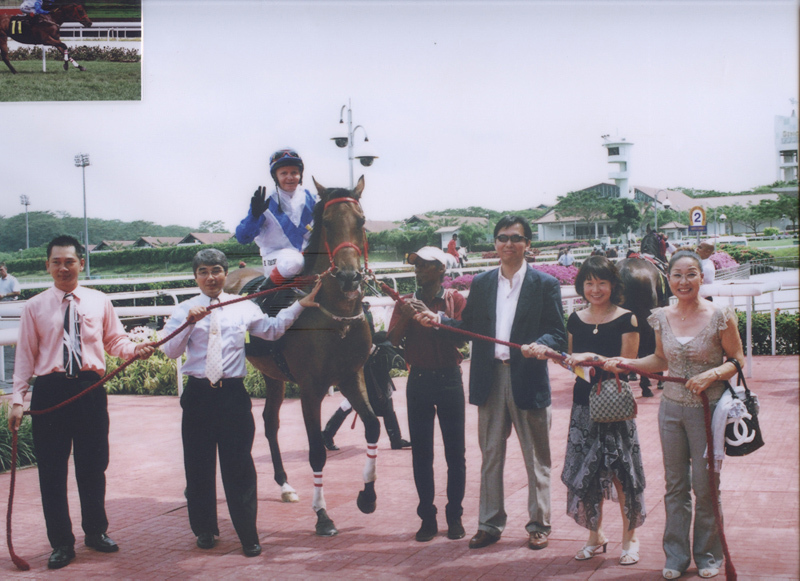 • 11 Apr 2006 - TOAST's new volunteer auditor Mr Lim Swee Ann rode "Lewin Star" to win the 1400 Metres (LC) MARA OPEN HANDICAP Div. 2 race at the Selangor Turf Club on 11 Apr 2006 and paying a handsome dividend of RM$144 for a win and RM$44 for a place. "Lewin Star" (488kg) carried 79 ½ kg to win by 1 ½ lengths in a time of 1 minute and 26.5 seconds. 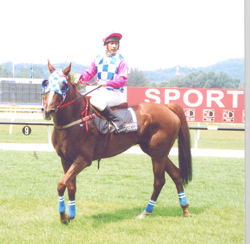 "Lewin Star" is owned by MH Goh Stable and trained by Mr M Sofian of the Royal Selangor Polo Club. • 30 Mar 2006 - The new TOAST committee members were elected at the TOAST Annual General Meeting (AGM). For more information, please refer to the Committee section of the TOAST website. • 20 Mar 2006 - TOAST thanks Mrs Lily Ho for the preparation of the TOAST Statement of Accounts for year of assessment 2006 and members Ms Esther Ko and Mr Lim Swee Ann who volunteer to audit the accounts for year of assessment 2006 and 2007. • 16 Mar 2006 - TOAST reported a loss of $131.79 in the accounting statement for the period 1 Jan 2005 – 31 Dec 2005. 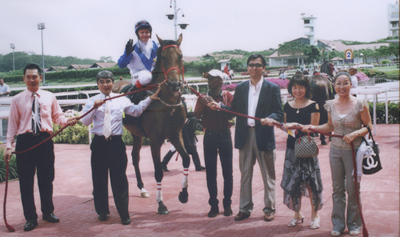 • 12 Mar 2006 - TOAST congratulates its members Masatsugu and Yuki Otani for winning their first race in Singapore when "Conundrum" won the Restricted Maiden race for 2-3 year olds over 1400m. Masatsugu and Yuki Otani (3rd and 2nd respectively from right) leading in "Conundrum" at the Kranji racecourse. • 10 & 12 Mar 2006 - The Malayan Racing Association (MRA) celebrated its 110th Anniversary in Mar 2006. 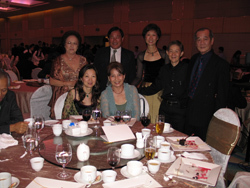 TOAST was invited to join the celebration at a Gala Dinner on 10 Mar 2006 and a lunch on 12 Mar 2006 to watch the running of the MRA Cup. TOAST members with Mdm Tan Bee Choo, Vice President (Corporate Services, SNTC) (standing, third left) and trainer Dr Yeoh Kheng Chye (standing, 2nd left) at the MRA Gala Dinner. 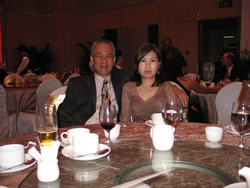 TOAST founding member and former TOAST Vice President Mr Bernard Lee and wife were also present at the MRA Awards Gala Dinner. TOAST Honorary Secretary Dr Low Hong Tong and trainer Dr Yeoh Kheng Chye at the MRA Gala Dinner. TOAST members and friends at the MRA lunch. 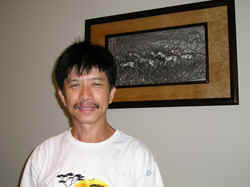 • 20 Feb 2006 - Mr Raymond Chan joined TOAST and took a share in a TOAST Trust. 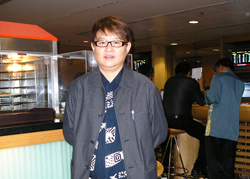 Raymond was born in Hong Kong. He studied in Australia and graduated with a Bachelor of Business Management from Griffith University. He worked for the Totalisator Agency Board (TAB) in Australia for two years and five years in marketing operations in Hong Kong before permanently moving to Singapore. 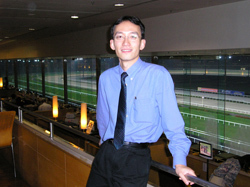 Being a horse lover, Raymond was riding horses in Australia and Hong Kong at the Hong Kong Jockey Club. Raymond likes to see more world renowned jockeys and trainers competing in the SNTC races so as to be comparable with the Hong Kong Jockey Club. Raymond attends the Kranji races whenever he has the chance to. • 7 Jan 2006 - Formation of TOAST Trust No. 6 with the leasing of "Prima Commands". More information can be found on the "TOAST Racing Trust" section of this website.